Other driver actually had attached cables to his front and rear license plates. 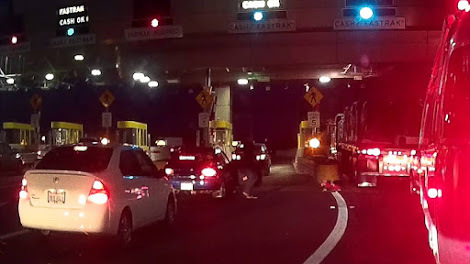 It allowed him to activate a lever that would cause the tags to fold up to hide the plates from toll booth cameras. A female driver who had a plate with a special plastic cover. Tejera says the plastic is designed to make the plate numbers illegible when viewed from the top and side – angles where toll cameras would be watching. But Trooper Tejera removed it and cited the driver. It turns out, she wasn’t just any driver; she’s a corrections officer and was still wearing her uniform when Tejera pulled her over.